iPhone 6 Full Specifications : What's new and What's Missing ? iPhone 6 Full Specifications: What’s New and What’s Missing? The long wait has ended and people willing to grab the next big thing from Apple, are all set to get a hand on it as Apple.Inc has launched its much awaited sizzling iPhone 6. On launching ceremony in Flint Center California, APPLE introduced its two new superb phones with fantastic features that are – iPhone 6 and iPhone 6 Plus. 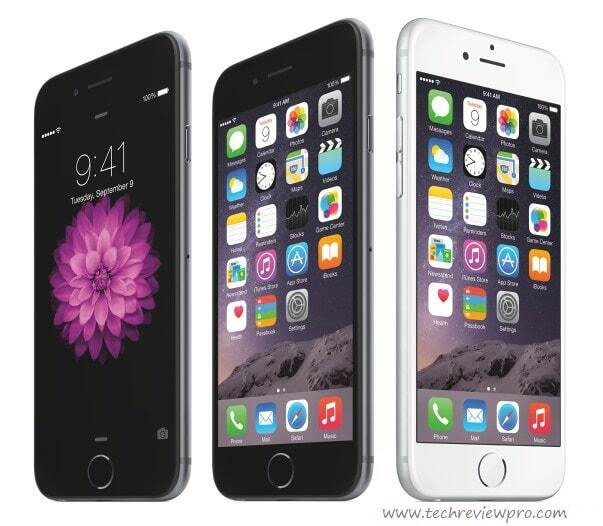 So are you are excited to get iPhone 6 full specifications? Though iPhone lovers had to wait quite long for the new sizzling iPhone 6 yet Apple Inc. once again surprised everyone with some new and enhanced features in their latest product. There are some of the features that make iPhone 6 and iPhone 6 plus bigger than ever. iPhone 6 is much thinner than other previous iPhones. iPhone 6 is 6.9 mm, and iPhone 6 Plus is 7.9 mm thin that gives a decent look to both. A simple version of this phone has 4.7 inches display while Plus version has 5.5 inches that make both a larger phone than the other iPhones. According to APPLE, it is only possible with the help of thinnest display yet by the company. The phone has not only a larger screen that gives a big look to the phone, but it has more than that. iPhone 6 is available with 1334X 750 resolution display while iPhone 6 Plus is with 1920 X 1080. Bigger display with Multi-Touch, best color and contrast experience is only possible with Retina HD Display that gives you a great experience while moving with a larger screen. iPhone 6 series comes with an A8 Chips that built on 64-bit powerful desktop architects processor that never go slow down. A8 Chip makes Phone 25-30 % faster than other phones and 50 % from other iPhones. A8 Chip gives 84X faster graphics than the earlier iPhones. iPhone 6 series comes with an iSight camera with the addition of 1.5 – micron pixels and ƒ/2.2 aperture that help to take good quality pictures.To shoot great videos, APPLE added new features like the option to capture 1080p HD at 60 fps, 240-fps slo-mo, and time-lapse video. These features give a quality captured video on large HD Retina Display. New iSight 8MP camera comes with new sensors like Focus Pixels, improved face detection, and exposure control that gives an enhanced performance. With M8 Motion sensor now you can measure your every step, distance and height you gain. It means now you can take a record of your motion with an accelerometer, compass, gyroscope, and a new barometer. Barometer notifies you about air density and warns about elevation when you are climbing a hill; Accelerometer takes records of distance you covered while walking or running while Gyroscope capture your position that you are in rest or motion, helping in better GPS view experience. The breakthrough Touch ID technology helps you to protect your phone from others because it offers you an ultimate password that is your FingerPrint. iPhone 6 series comes with a super advanced, full of features, mobile operating system that helps you to access thing effortlessly. Yes, It comes with world’s most advanced operating system that is iOS 8. I think iPhone 6 series is one of the best phones in this year and a great achievement yet for APPLE because it has excellent advanced Multi-Tasking features with some new qualities. Now iPhone users can call with Wifi signal when Mobile Network is not available. New air sense barometer measures our activity and air density of air on the valley, mountain, near seas, etc. Now iPhone users can pay in stores with NFC-powered APPLE Pay Mobile Wallet. So friend if you are planning to buy a new smartphone then go for it. Just get yourself enhanced with an enhanced and advanced function of iPhone 6 series. What’re your views on the next big thing for Apple – iPhone 6 full specifications? Let’s discuss in the comment section below. Enjoyed this review of iPhone 6 full specifications? Share it with your friends; they will surely love it. Make Your Gmail More Productive with Google’s New Inbox by Gmail: What, Why and How to Use New Inbox by Gmail App?